A general coverage tour around the many sections of The Great Dorset Steam Fair, starting with the build up before the Show to its finale. The Great Dorset Steam Fair has become a huge event. 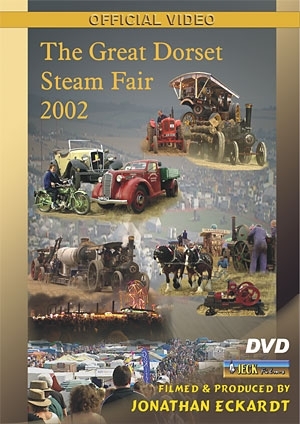 For 2002 we have produced the usual style general video tour, as well as a number of videos providing a wider coverage of this vast show. Blessed with good weather, another jam-packed show. Last appearance of the New Zealand engines. The special theme: Pre 1930’s Tractors, an historic collection of rare machines seldom seen in public.